 Thistles - Teasel looks like it could be a Thistle but it is not. Photographs: 106 photographs available, of which 12 are featured on this page. SCROLL DOWN FOR PHOTOGRAPHS. Teasel flowers. Note how the flowers form a band that "travels up" the raceme. Closeup view of Teasel flowers. An entire Teasel plant. They can grow up to perhaps 6 feet in height. 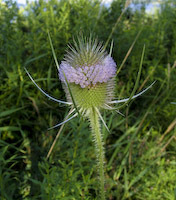 Teasel flower buds are contained within this "bulb" at the top of the plant. Spent flower raceme in winter. The prickles are still quick sharp and hard. 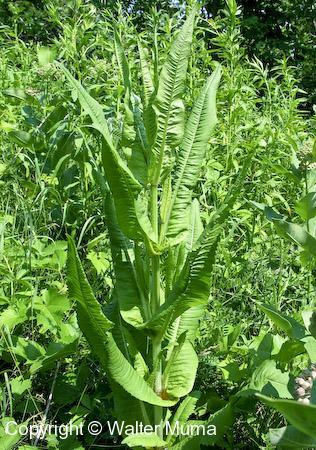 Basal rosette of Teasel leaves in April, before it sends up its flowering stalk. 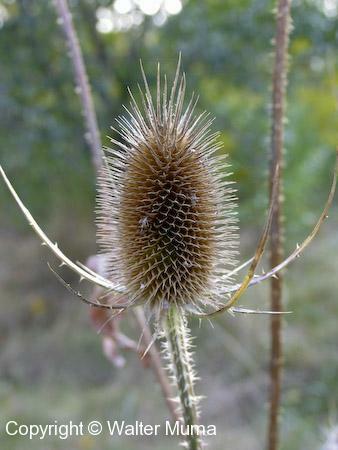 This basal rosette grew the year before, as Teasel is a biennial plant. 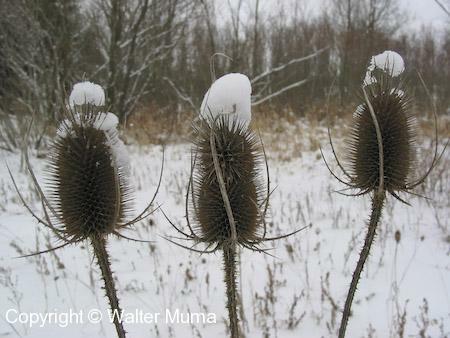 Teasel stem is covered with very hard and prickly thorns. 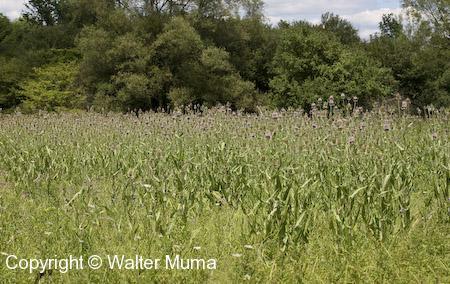 A field of Teasel. This plant can sometimes be quite invasive in disturbed areas.